May 17, 2018 May 17, 2018 / Andrew S.
Severe storms with damaging hail, wind, and a slight possibility of a small tornado are in the forecast! 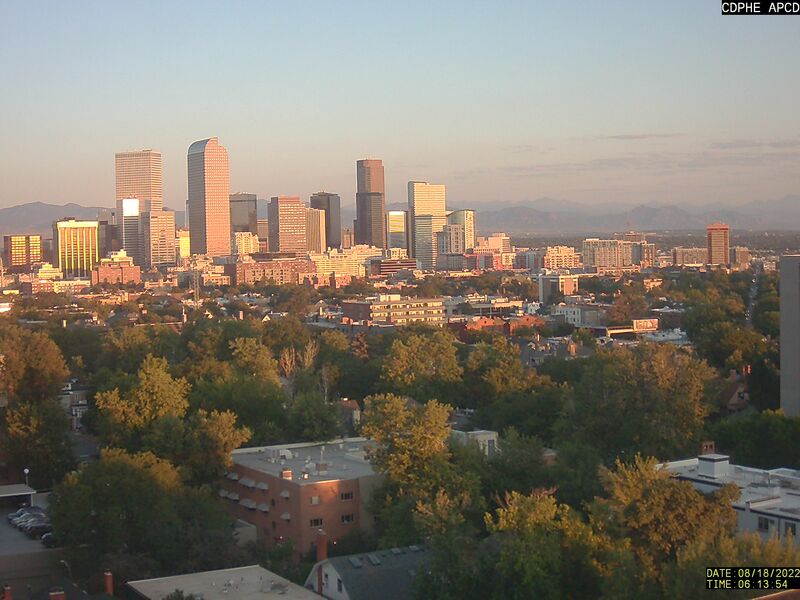 These storms will be the beginning of what will be a soggy and cool weekend that will have Denver’s high temperatures dipping into the mid-50s. While these storms will have the potential to cause damage, current forecasts suggest that the danger should be minimal. The Storm Prediction Center currently has the front range in a Marginal Thunderstorm Risk and areas to the east, such as Aurora, in a Slight Thunderstorm Risk. A small lee-side low pressure will develop tomorrow in along the Colorado/New Mexico border that will allow for increased transport of moisture and instability to the front range. All models are currently showing thunderstorm activity around the Denver metro area tomorrow that will start in the early to mid-afternoon. The positioning of the storms (as usual) is fairly hard to predict, but the models are agreeing on the overall intensity of the storms. The GFS has things pushed a bit further east and has the primary wave of storms over eastern Denver and Aurora, whereas the NAM and 3k NAM have the storms developing right along the foothills. I’m inclined to agree with the NAM models at this time as orographic forcing and the boundaries created by the mountains always play an important role in storm development. Storms will begin developing in early to mid-afternoon (~2-3pm) and will begin moving eastward. This means that there is a high likelihood that there will be storms occurring during rush hour and that it may be a better idea to wait to commute if a storm is nearby. Storm intensities should begin decreasing in the evening and areas of light to moderate rain could occur overnight. The times with the most intense storms should be from 3-7pm. Primary threats from these storms will be hail and strong winds. Current vertical profiles in the area show a very wet atmosphere high and a drier atmosphere at the surface. This has the potential to create damaging wind events as the rain aloft falls into the drier air beneath it, absorbs heat and evaporates, and then the cooler air around it accelerates towards the ground (cold air is heavy and sinks! Heat rises!). These may or may not be seen as microbursts. While a small tornado is not out of the question, the needed wind shear and helicity don’t look to provide a favorable environment for development. As always, thanks for reading and let me know if you have any questions! I’ll update when new information is available.